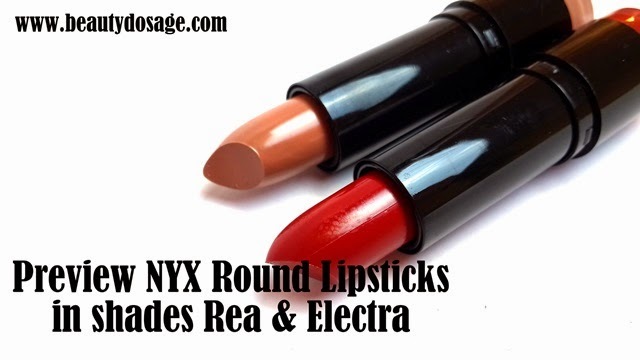 Recently with one of my orders for my online store, I purchased two NYX round lipsticks for myself which I have been wanting to try more shades although they are not the most long wearing lipsticks. 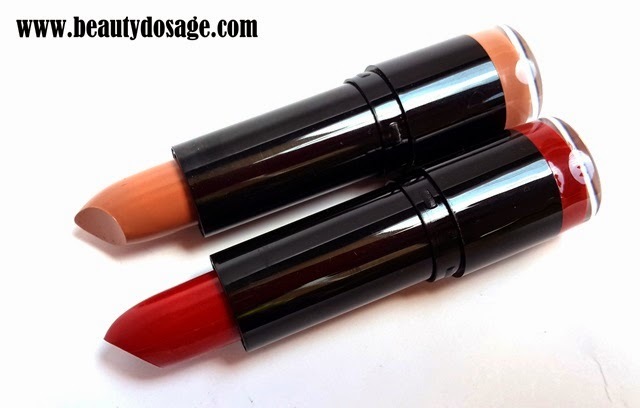 I really love the moisturizing creamy finish of the lipsticks. The shades I got were Rea and Electra! 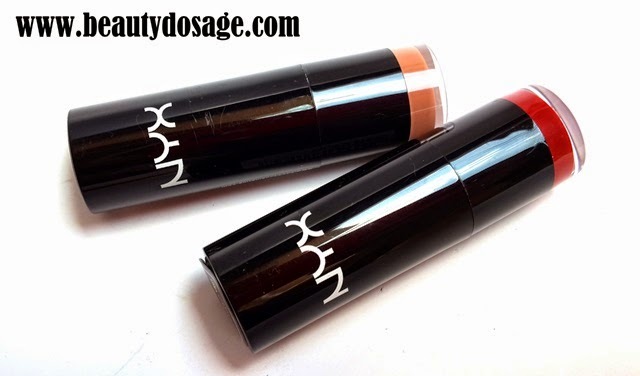 Rea if a Nu*e shade which could look too nu*e on me but I can definitely make it work with some lip-gloss. Electra on the other hand is a snow white red kind of color which is deep yet good looks lovely especially on medium to dark skin tones. Which shade caught your eye?